Mini Gumball Machine Party Favors will have them smiling from ear to ear! What a cute and novel personalized party favor! Great for the fun-loving bride and groom, or perfect for a carnival themed birthday party! Perfect for a First Holy Communion, First Birthday, and Baby Shower! 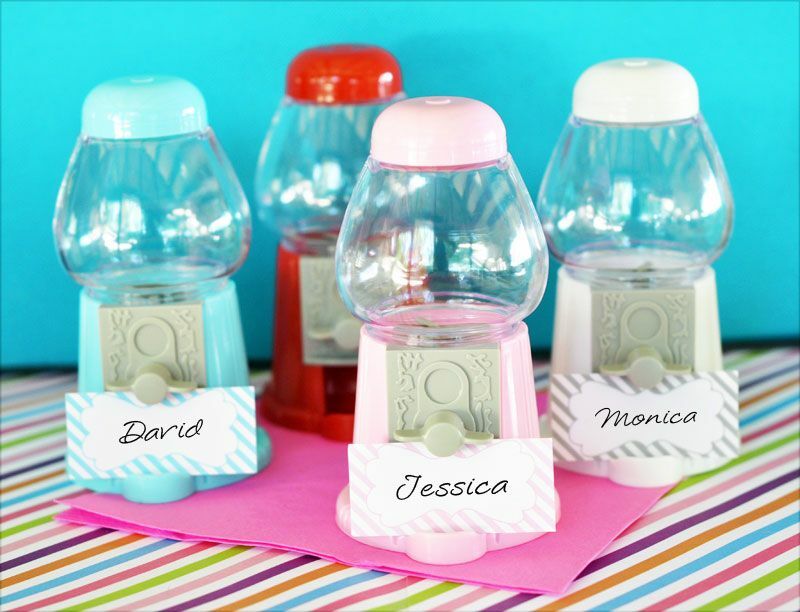 These Mini Gumball Machine Place Card Holders make an exciting and decorative party addition. Guests will delight in these retro chic gumball machines! Available in four different colors, White, Blue, Pink, and Red, and they can actually dispense some of your favorite candies! After they finish off the candy you supply, they can re-fill their personalized gumball machines with their own SWEET treats! 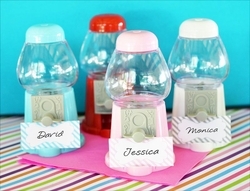 Included with the gumball machines are color coordinated blank cards that you can use to hand write your guests' names. 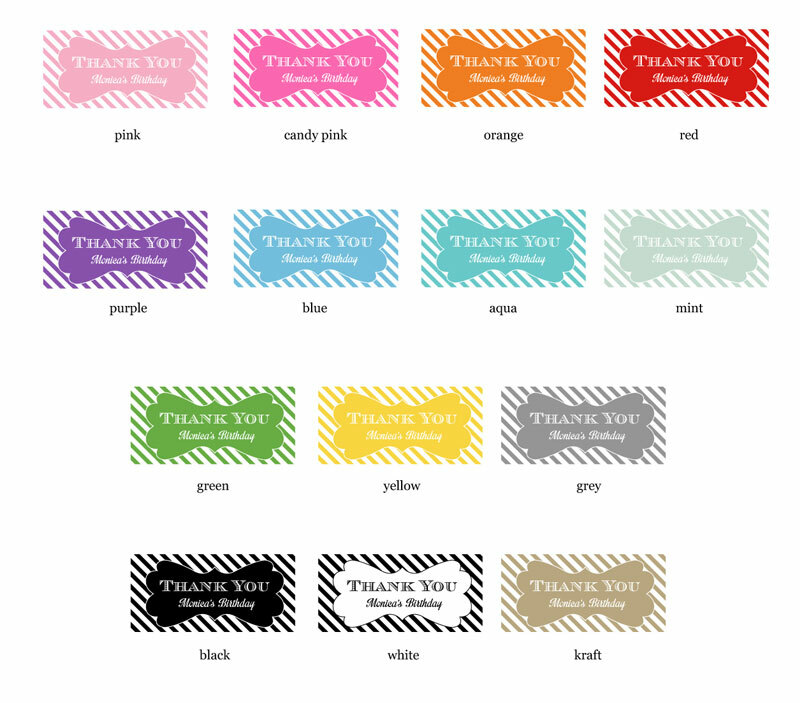 For a more personal touch, and to choose your card color, Personalized Cards are available for an additional charge.